SKU: CH-WOL-1. Categories: Torcs, Neck Rings and Neck Chains. 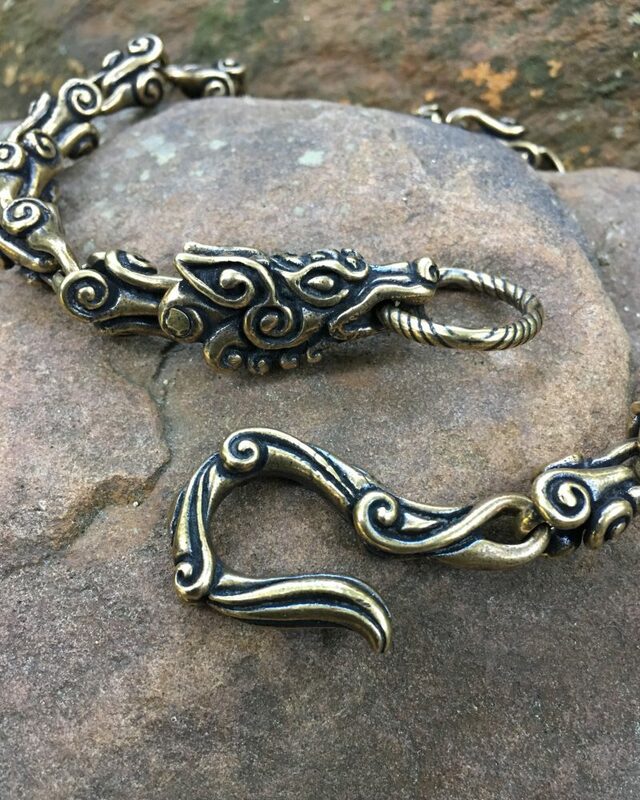 The head of our Wolf Neck Chain bites onto a ring which will hook onto the tail tightly, so it can encircle your neck and snarl at your foes. 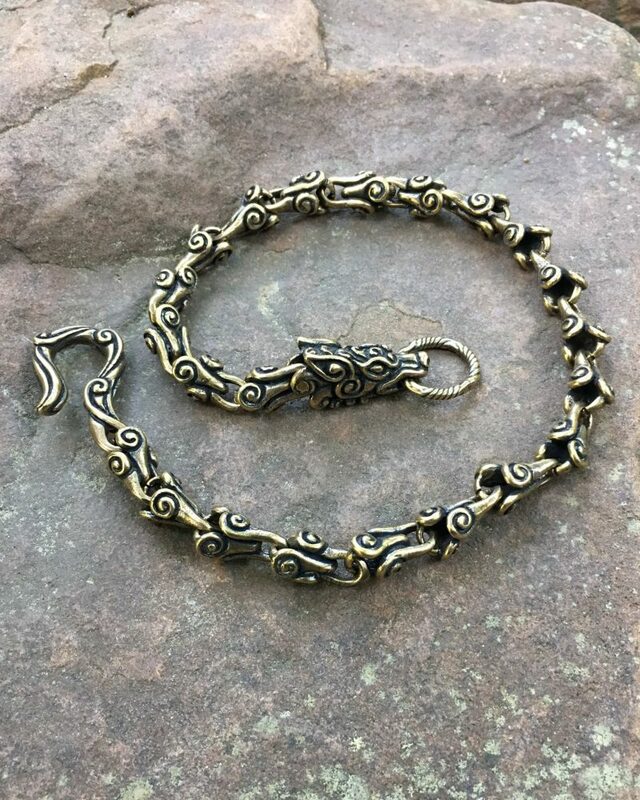 Available in both bronze and sterling silver.